Liven things up with this spirited and adventurous piece that is fun for the whole orchestra! Highly rhythmic and energetic, this work will surely keep the audience on the edge of their seats. 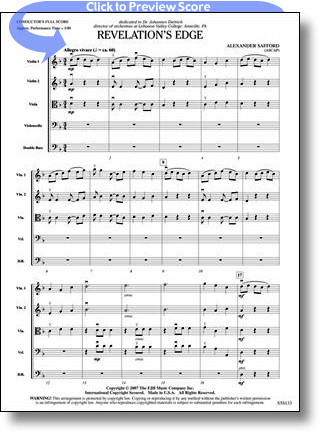 After the initial theme is established, a second, more lyrical theme is presented. A lively development ensues, leading the orchestra to the original theme and an exciting conclusion!